The Substantive Business Copy-editing Service is the most advanced layer of the proofreading and editing services we provide to businesses, companies and corporations. Original: The General Manager and I am going to visit the factory this afternoon. Edited: The General Manager and I are going to visit the factory this afternoon. Original: This annual report is divided into three sections however two sections deal with financial matters. Edited: This annual report is divided into three sections; however, two sections deal with financial matters. Original: The new sales drive began since the management took the decision. Edited: The new sales drive has begun since the management took the decision. Original: It is important that all information on the new company’s website is up-to-date. Edited: It is important that all information on the company’s new website is up-to-date. Original: Joanne was told that the responsibility for sales is her’s. Edited: Joanne was told that the responsibility for sales is hers. Original: The Board advised the Sales Department to immediately improve their publicity. 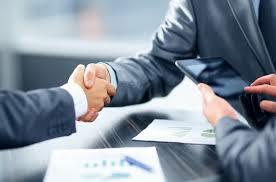 Edited: The Board advised the Sales Department to improve their publicity immediately. e) Use of the apostrophe, or lower and upper case. Original: Several customer’s complained that the delivery service is too slow. Edited: Several customers complained that the delivery service is too slow. cheek (check), grammer (grammar), loose (lose - as a verb), believes (beliefs - as a noun), proof read (proofread), weak (week) etc. Original: The Board indicated that it is neccessary for at least two-thirds of the shareholders to accept the taekover if it is to go ahead. Edited: The Board indicated that it is necessary for at least two-thirds of the shareholders to accept the takeover if it is to go ahead. Samsong (Samsung), Appel (Apple), Daved (David) etc. Original: The directors’ report recommended that the company should move its headquarters to Leiscter. Edited: The directors’ report recommended that the company should move its headquarters to Leicester. * The researcher has recommended they sotp (stop) making mistakes and use English proofreading services. * In the peeface (preface), they explained what they will investigate in their book. * Proofreading services are impotent (important). Original: The recent rapid fall in sales has result in ten staff being made redundant. Edited: The recent rapid fall in sales has resulted in ten staff being made redundant. Original: A revised training program is being introduced for new employees. Edited: A revised training programme is being introduced for new employees. Original: The recently implemented price rise which increased customer resistance resulted in a fall in sales. Edited: The recently implemented price rise, which increased customer resistance, resulted in a fall in sales. Original: Sales of the following items have shown an encouraging increase, cameras, zoom lenses, projectors, screens, telescopes and binoculars. Edited: Sales of the following items have shown an encouraging increase: cameras, zoom lenses, projectors, screens, telescopes and binoculars. Original: Three of the company’s branches will be closed, they are continuing to make a loss. Edited: Three of the company’s branches will be closed; they are continuing to make a loss. Original: Buy two get three is our latest sales promotion. Edited: ‘Buy two get three’ is our latest sales promotion. In English, some words have a greater impact than others; and other words fit more certain purposes than others, or convey the meaning in a better way. Original: Good advertising will bring new customers. Edited: A powerful advertising campaign will attract new customers. One recurrent problem that we often come across in texts for editing and proofreading is what we call run-on sentences...i.e. sentences that are excessively long. Original: The scene of the crime and any data connected with the crime are able to supply pointers regarding suspects’ identities, assistance in the assessment of scenarios, help in the planning of avoidance or detention procedures, and to assist in the attainment of an improved comprehension of environmental features that may have a link with the crime. Edited: The scene of the crime and any data connected with the crime are able to supply pointers regarding suspects’ identities and assist in the assessment of scenarios. Both factors also help in the planning of avoidance or detention procedures, as well as in the attainment of an improved comprehension of environmental features that may have a link with the crime. Original: The cost of paying councillors is becoming almost prohibitive so at a meeting of the cabinet consideration was given to reducing the number of councillors from 35 to 29 and making changes to the boundaries of the wards to accommodate this in order to avoid applying an unacceptable rise in council tax following the increases already made over the past three years. Edited: The cost of paying councillors is becoming almost prohibitive. Therefore, a meeting of the cabinet considered reducing the number of councillors from 35 to 29, with corresponding changes to the boundaries of the wards. It is hoped that this will avoid applying an unacceptable rise in council tax, following the increases already made over the past three years. Original: Staff members should read the annual report to find out more information. Edited: All staff members should carefully read the relevant sections in the annual report, in which they will find valuable information. Original: Our products have many good points, so why not buy them? 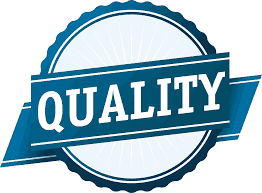 Edited: Our products are endurable, efficient and excellent value for money; we know you will be pleased when you buy them. 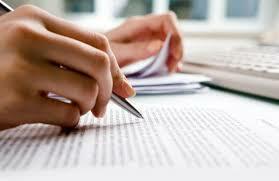 We also help businesses and corporations organise their written copy or manuscript. We offer suggestions on how better organisation can be achieved. The Ultimate Proofreader is a provider of premium proofreading, editing and paraphrasing services based in the UK. 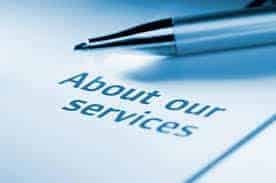 For the many years we have been in business we have successfully given a helping hand to university students and academics from various universities with bespoke editing and proofreading services for essays, theses or dissertations. We serve a lot of clients especially in these universities: the University of Sheffield, the University of Oxford, the University of Cambridge, the University of Leeds and the University of Reading. We assist our customers, natives and non-natives, with English proofreading services that simply put them on the track to being awarded their degree with distinction. Our services are reasonably and affordably priced, delivered within fast turnaround times with any impact on quality and expertly completed. Our professional dissertation editors and proofreaders spend a lot of time on every assignment to make sure it is proofread, edited or rewritten to the highest standard. We respect the fact that many students have very short deadlines before submission, so we operate around the clock 7 days a week to meet our customers' needs. 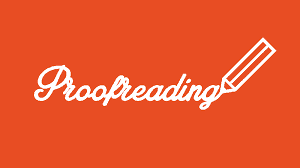 We have a strong belief that any professional proofreading services provider should go beyond the mere correction of language and look at the heart and soul of the text itself. We also seek to educate, not only proofread, so we provide useful material related to language in our blog section. Our aim is to help academics and students, particularly non-native speakers, to learn and improve their knowledge about the use of the English language for academic purposes. We can be reached by email (i[email protected]) or by phone (07717750188), around-the-clock.